A couple of debates ago we looked at where the Republican Presidential primary stood nationally. 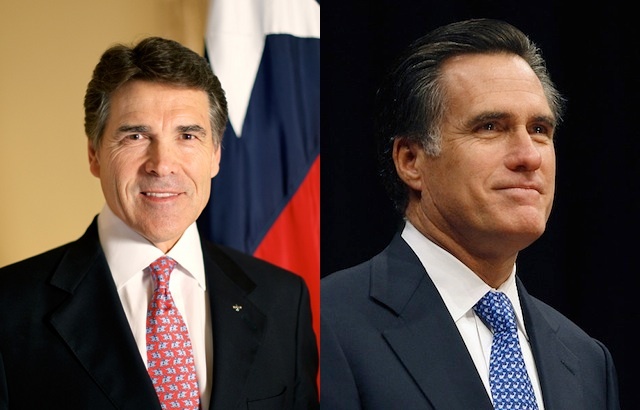 Since then we’ve seen Mitt Romney surge, presumably as the anti-Rick Perry candidate. But will Perry himself tumble after widely criticized debate efforts? Let’s check the new CNN poll. The facts: 447 Republican registered voters, MoE 4.5. Mobile and landline telephone polling. Reading the results, my immediate reaction is that there’s no news here. At the top anyway, there’s only statistical noise: Rick Perry is barely changed, going down to 30% from 32%. I show a 59% chance that there’s real movement there, given then MoE of 4.5. Mitt Romney is up to 22% from 21%, which I only show a 54% chance of being real. For comparison’s sake, Perry’s 8% lead I show as having an 81% chance of being an actual lead among Republicans. But in the lower tier of candidates, two candidates have pulled themselves up above the Pauldoza line: Newt Gingrich who shows a sudden 4 point burst to 11%, and Herman Cain with a 3 point jump to 9%. Neither would have been above the last poll’s showing for Ron Paul, but his six point collapse to 7% let them pull up above him. I find it odd that Gingrich surges but Perry remains virtually constant. Could the debates be helping the former Speaker but not hurting the Texas governor? Or is this just a random blip in the radar? With a 5% chance of any result being outside of the Margin of Error, and so many candidates in every poll, flukes will happen. Only time and more polls will show us the truth. In the last cycle we ended up with McCain because of the game playing of Huckabee and the unwillingness of the conservatives to back Romney. So we ended up with the worst president ever. He has caused more destruction to this country and you can thank yourselves. If we had Romney we would not be in this mess. So smarten up especially you are bloggers, radio talk show hosts. Perry is no conservative and can’t win in a general. Christie would be a fool to get in. He is not ready and no one knows if he really a conservative. Romney is ready. He needs support, not lefthanded statements like “he surged because he is the anti Perry” Ercik needs to examine his absolute disdain for Romney. It is not because he changed his mind and became pro life or romenycare. I will vote for Newt Gingrich anytime before Mitt.